Oral or IV Sedation Dentistry? Which is Best? Full IV sedation is more predictable than oral sedation dentistry. The sedation process is faster with IVs than oral sedatives. Therefore treatment time is decreased with IV sedations. With intravenous sedatives, the dental anesthesiologist has more control increasing or decreasing the level of anesthesia as needed for the procedure. Multiple dose oral sedation can be difficult if not impossible to predict. Sometimes, can be waiting hours impatiently while the effects of multiple pills may or may not take effect. Oral sedation is lighter and is a good option for patients who have less anxiety and may only need a single dose of a sedative. 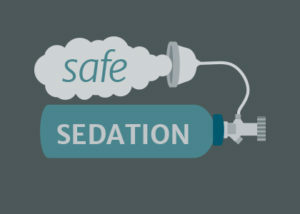 IV can produce higher levels of sedation safely and quickly. While both forms of sedation work great (if used properly), the ideal sedation technique is determined when you come in for your exam and consult. 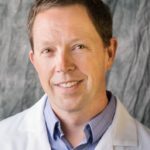 Dr Adams will discuss the types of treatment that are being done and which level of sedation will suit you best. is our sedation dentist. He will meet with you personally to determine what kind of sedation you need to comfortably tolerate your dental care whether it be twilight anesthesia or full IV sedation. Dr Adams is one of few dentists in the Washington-Baltimore area who sedates people for regular dental work as well as complex procedures. The costs of sedation dentistry is between $300 – $900 per appointment. Oral Sedation can be free or cost up to $500 per sedation dentistry appointment depending on the sedative being used, the amount of anesthesia time and the number of dental sedatives necessary to achieve the desired effect. Dentists who perform intravenous dental sedation need a lot more training, equipment and certificates for the facility. IV sedation dental professionals train under dental anesthesiologists for long periods of time, are examined by the the State of Maryland and must pass difficult tests administered by other sedation experts. The requirements to perform oral sedation dentistry are far less. Very few dentists perform full IV sedation dentistry because of the time and expense of the training and the equipment. Conversely, many dentists perform oral sedation dentistry. Yes. In fact IV Sedation is more safe than oral sedation because sedative drugs can be administered to increase or decrease the effects of the sedation. In the event of an emergency (such as the level of sedation gets too deep), the effects of the dental anesthesia can be easily reversed with a sedative drug reversal agent. Conversely, if only oral sedatives are being uses, no IV is in place and reversal drugs cannot be easily administered. We use nitrous oxide aka laughing gas. Laughing gas sedation is effective for mild to moderate sedation. Dental gas is advantageous because it sets in very quickly and wears off very quickly. The patient can drive themselves to and from their dental sedation appointment. Yes it is absolutely possible to safely remove amalgam fillings with the IAOMT Protocol under IV Sedation. We do this all the time.